The lovely villages of the Haute Alps of France and Switzerland provide a delightful setting for a summer family holiday in the mountains. The larger towns of Morzine and Les Gets to the west lead to Montriond, St. Jean-d’Aulp and Avoriaz before reaching the Val d’Abondance on the French - Swiss border, home to La Chapelle and Châtel. Slightly south of Châtel and over the border into Switzerland lie Morgins, Monthey and Champéry. All these villages provide fantastic locations for enjoying the mountains. Explore each and enjoy discovering their own particular secrets. With the links and tips below we have highlighted some of the less well known but most exciting features of the area. In summertime the area is probably most closely associated with the walkers and hikers exploring the beautiful alpine meadows and mountain tops. There are over 7000km of long distance trails marked by coloured posts that traverse the across the entire French alps, offering short walks and pleasant day long hikes up to multi-day expeditions. Several refuges are located on the high mountains offering overnight accommodation and food. The many chairlifts running over the summer months make it easy to get into the mountains. Châtel offers access to the many walkable sides of Mont de Grange, the lifts of Pré-la-Joux and Super-Chatel. Lakes, forests, alpine meadows and chalet restaurants are at your disposal. There are also lovely routes running from the middle of the village into the mountains above. The close proximity to Morgins means their lifts and mountains are within easy reach too. For the more adventurous there is the always the ascent and traverse of the famous Dents du Midi. Morzine offers hiking both south, towards the mountain ski resort of Avoriaz, and north in the direction of Les Gets. Lifts run up both mountainsides. You can go direct from the south side of the town up Super-Morzine and on up the hillside to Avoriaz or travel along the valley floor by bus or car directly beneath Avoriaz and ride up the Prodains lift from there. On the other side of town the Pointe de Nyon is accessible a short distance to the west. The Pleny lift from the town centre heads directly up into the mountains towards Les Gets. The main map for the area is the useful Morzine Massif du Chablais (sheet reference 3528ET) which can be found on Amazon and the Carte de Randonnée publishers. Once the preserve of those on foot, the mountains and villages now offer fun adventures for families and friends on wheels as well. 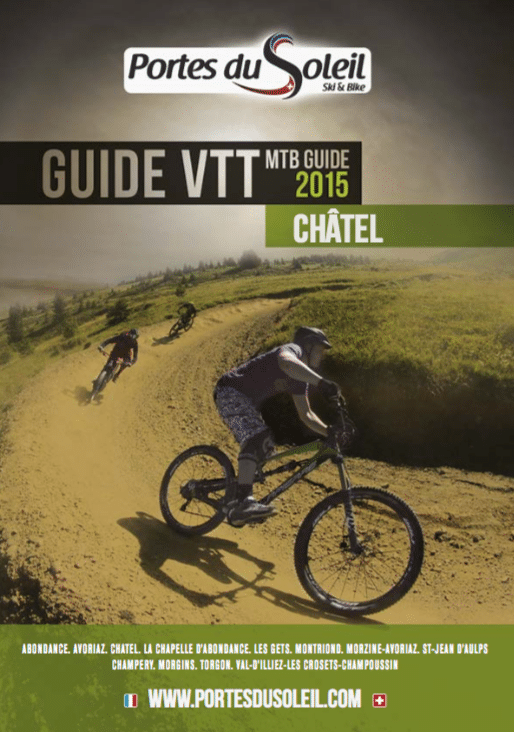 With over 600km of marked trails the Portes du Soleil area is one of the largest bike parks in Europe. Not many people realise that! Over 20 chairlifts operate in the summer from the 12 village resorts and they are specially converted to carry bikes as well people. There are even around 20 bike patrollers daily checking the safety of the trails. There are many hire shops in the villages that provide good quality bikes. Maps and guides are available from the tourist offices as well as from links here. A wealth of biking trail, hire and equipment information can also be found on Morznet. The trails range from gentle to challenging to suit all demands and are colour coded for difficulty. Bike repair vans and washing stations are situated at the bottom of many of the larger runs, such as at Pre-la Joux in Châtel. A great help if anything breaks or for little extras. Throughout the summer there are a range of mountain bike festivals that will add an extra buzz to your holiday. 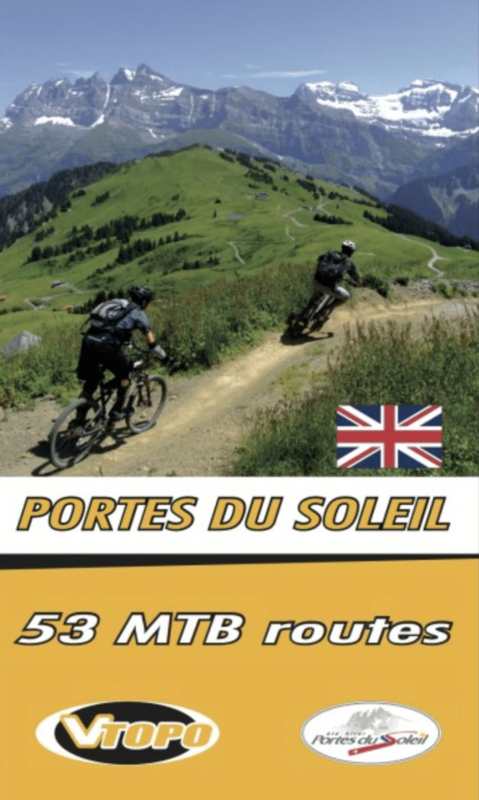 The Passportes du Soleil event is a circular route across the Portes du Soleil mountains. Held around the last weekend of June it showcases the best of the region's trails with 6,000m of descent and just 1,000m ascent, using 15 lifts over 80km in two days. You can treat it as a race or a fun tour. Everyone is welcome. There are several competitions to watch too. The Crankworx World Tour visits Les Gets in June bringing together the world's downhill, slopestyle and enduro legends. 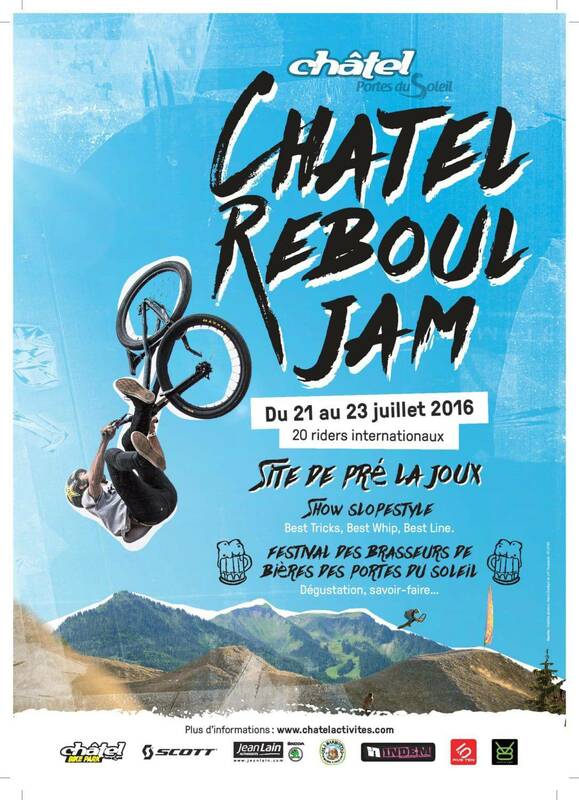 The Châtel Reboul Jam at the end of July is a fantastic slopesyle contest for the seriously talented. There are lots more biking and other events to see over the summer... just visit the resort pages to find out more. 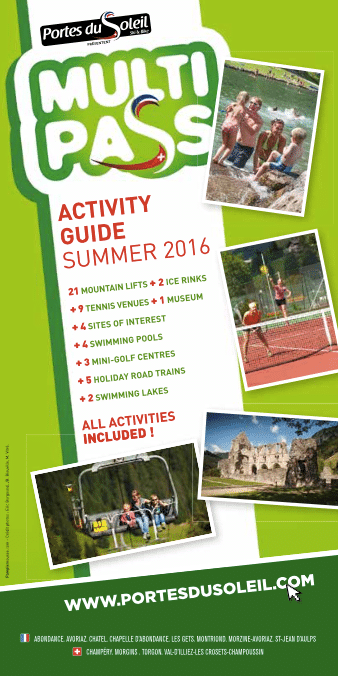 There are a fantastic range of summer activities available across the Haute Savoie area. 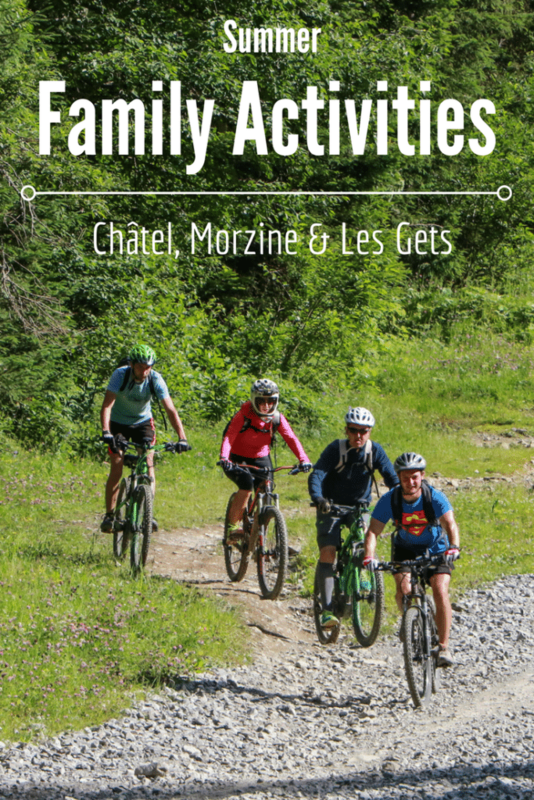 Full local details are provided on our individual village blogs for Châtel, Morzine and Les Gets. Families, children and adventurous adults are all well catered for. There are fun things to do for families such as the bob luge, downhill devil carts, archery, high wire courses in the forests and pony trekking. For those after more adventurous activities look no further than the Fantasticable mountaintop zip-wire, rock climbing, via ferrata, canyoning, white water rafting, diving or paragliding ("parapenting"). And don't forget the tennis, golf, fishing... the list goes on. Although the outdoors is the focus of most holidays there are plenty of indoor activities. Along with the swimming pools, spas and cinema (some in English), you can find bowling, museums, local produce and of course cheese. The Multipass card provides very generous discounts and is particularly beneficial if you are using the chairlift system at least a few times a week (which is easily done). It also provides discounts for a range of activities across the area and can save a family or group a lot of money during a holiday. The Multipass is available from the tourist offices as well as many of the accommodation providers in the area who will often provide it free of charge. Check before booking! The geography of the Haute Savoie provides many lovely walks and vistas the that don't always get to feature in tourist brochures or websites. A stroll around the forests and cliffs by Lac Montriond (near Morzine) is a very pleasant (and flat) walk for an afternoon. It's a great place for young children to run around. You can play on the beach at the far end, enjoy some water sports as well or relax afterwards at one of the restaurants overlooking the shore. We are fond of the Hotel Sapins. 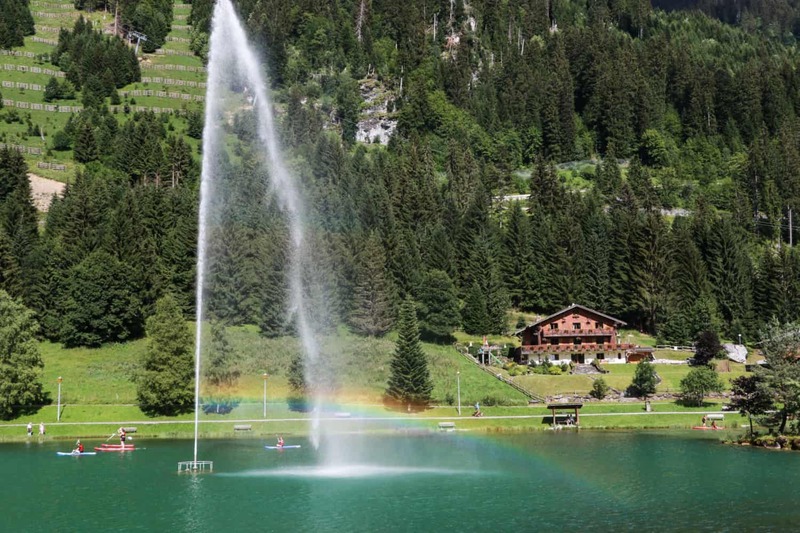 An alternative closer to Châtel would be the Lac des Plagnes on Mont de Grange (accessed from Abondance) with the Bar du Lac "Chez Remy" offering refreshment by the water. If you are starting from Super-Chatel there is a rewarding, albeit uphill, walk to the Col du Saix, neatly passing the Chalet de Théo restaurant (sadly closed in summer) on the way. You can walk on to the top of the ridge and the Col de Recluaz if you are feeling energetic. Exploring the mountains is be fantastic fun but a moment to rest can be pleasurable too. Spread your picnic blanket out on the meadows at the top of the La Foilleuse chairlift above Morgins and take in the view of the snow capped Dents du Midi. It is an easy outing for families and children with the benefit of allowing you to wander along the mountain top with only a modest amount of additional up and down. If you are after a longer walk, loop round back into the Morgins valley through the forest to the west. 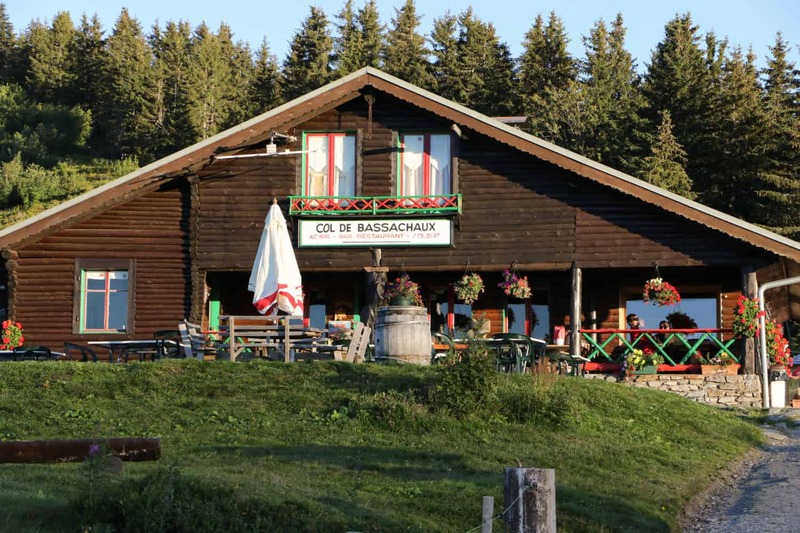 If you would like to experience the peaceful mountain sunset before dining by candlelight, take a trip to the lovely mountain refuge at the Col de Bassechaux, above Pre-la-Joux, near Châtel. Spend the day exploring the mountain tops or just go for dinner; and it's easy to get there, you can drive all the way up. Back in the villages there are many great restaurants. 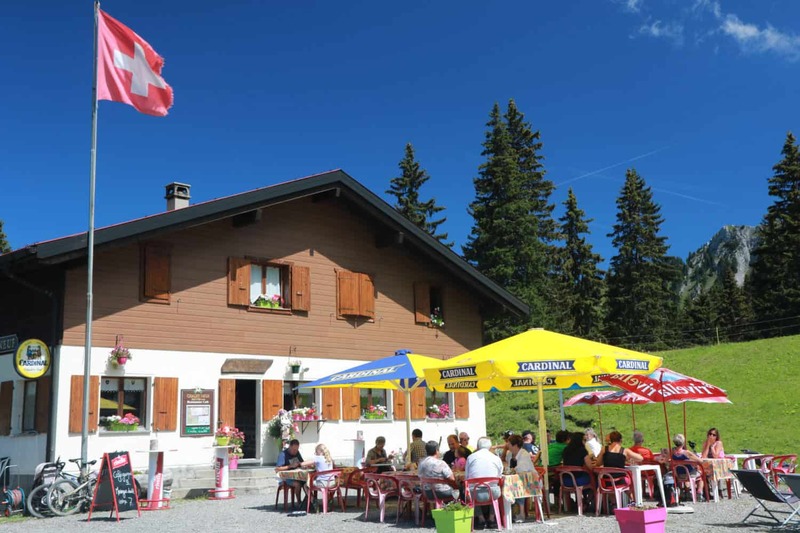 Families can enjoy a lovely savoyard presentation at La Poya in Châtel: cuisine that will satisfy parents and a restaurant team that love to welcome children. La Chamade in Morzine provides a wonderful meal in a more contemporary setting that blends effortlessly with the Savoyard environment. Bring the family or enjoy a great meal with the adults alone! The summer months see festivals bloom across the villages like flowers in the alpine meadows. Local produce abounds alongside traditional crafts and skills. Fun and games range from the traditional - who can cut a log the quickest - to the contemporary, like a 4x4 rally! While the festivals occupy the daytime, evenings bring on concerts, outdoor stages and for the bog events some excellent fireworks. 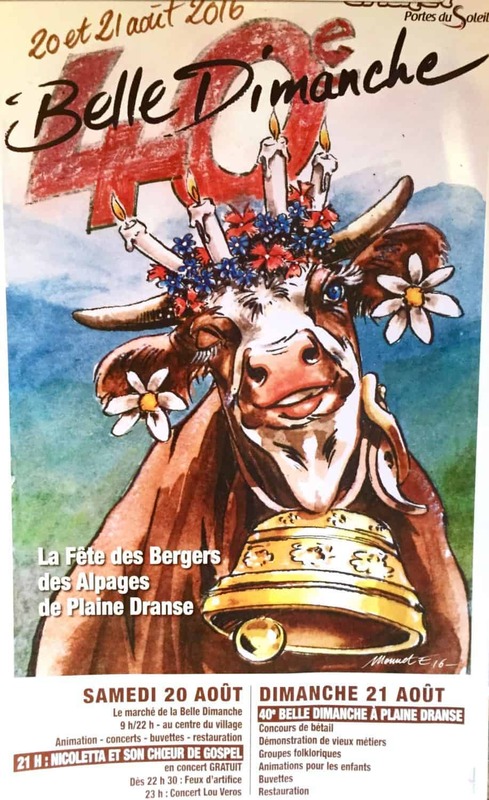 The famous Belle Dimanche festival in Châtel celebrated its 40th anniversary last year and is a fantastic festival of all things Savoie - from cows and cowbells, to wood carving, country fair and genepy! Events such as the Spartan Race in Morzine, held in early July, provide a completely different diversion: an obstacle race with several grades, from 3 miles to marathon length. Les Gets will host the seventh Lounge Music Festival at the beginning of August. Two weeks of jazz, funk and soul from local and international artists, with dozens of concerts throughout the village. Children as well as adults are very welcome. 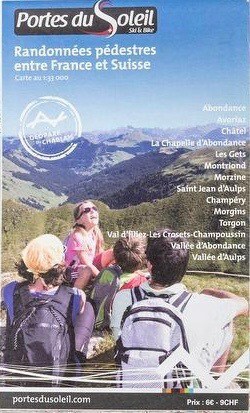 Weekly markets run in all the main towns: on Wednesday mornings in Morzine by the car park beside the Post Office; in Châtel on road located beneath the church. Les Gets holds its market on Thursday mornings right in the centre of the town. They are very active affairs catering to the local residents and tourists alike. Fresh produce, cheese (obviously), beers and wines, fabrics, games and more are all on offer! There are many enjoyable day trips by car from the Haute Savoie villages. The beaches and water sports of Lake Geneva make an excellent day outing or go and explore the Château de Chillon near Montreux. There are ferry boats traversing the lake which, as well as saving on driving, can be a fun way to travel. About half way between Morzine and Châtel are Les Gorges du Pont du Diable: a fantastic descent into a cool dark ravine (great on a hot day) with a mysterious past. The Abbey d’Aulps, by St. Jean d’Aulps, is another attractive diversion from the mountains and opens up a wealth of history about the monks that lived there. On Tuesday afternoons over the summer travel back to the Middle Ages and see falconry displays, weaponry demonstrations and medieval games with knights and maidens in their historical robes. From the Châtel side one can easily drive over the Swiss boarder to visit the medieval town of Gruyére. Have fun sampling the eponymous cheese or that of slightly further away Emmental. If your starting point is Les Gets, a little over an hour's drive to the west lies the pretty Alpine town of Annecy. At Clarian Chalets we aspire to create wonderful family holidays. We aim to make “fabulous” happen. Visit us at clarianchalets.com to find out more about our luxurious chalet holidays in the French Alps or contact us and we will be delighted to answer your questions. Have fun with your family this summer!